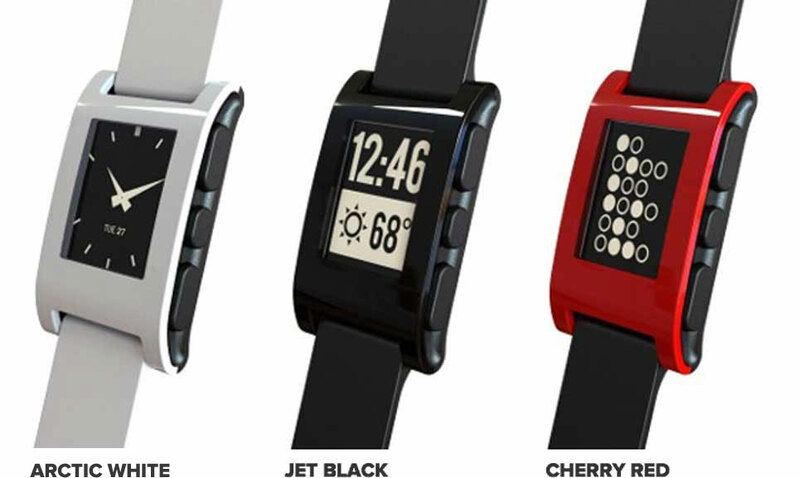 Pebble E-paper watch is the first smart watch built for the 21st century. The smart watch brings some of the newest technological innovation to the market such as outdoor-readable electronic-paper (e-paper) display. The watch is extremely light-weight and comfortable to wear. This amazing smart watch has almost everything you can dream in a smart watch; multiple watch faces, useful Internet-connected apps and highly customizable display. Pebble E-Paper Watch can control your Android phone and iPhone remotely. The phone acts as glanceable connection to your SmartPhone. 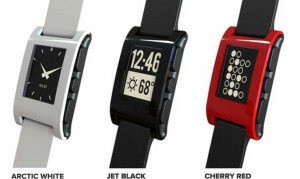 What is Pebble E-Paper Watch used as? Standalone digital watch and extension of your Smartphone. The Pebble E-Paper Watch is compatible with iPhone, devices running iOS and Android phones (SmartWatch For IPhone and IOS Devices / SmartWatch For Android Devices / SmartWatches For Sport). The functionality of Pebble E-Paper Watch can be greatly extended by installing apps. The smart watch can function as a bike computer that can display distance covered, pace data and speed using the GPS functionality of your smart phone. Runners can get similar data on their Pebble E-Paper Watch after installing right apps on their smart phone. You can set vibrating alert notification for any messages and calls received on your Smart Phone. Just shake your wrist to dismiss any notification on your Pebble E-Paper Watch. How to setup Pebble E-Paper Watch to your iPhone and android phone? The Pebble E-Paper Watch uses Bluetooth connectivity to pair up with iPhone or Android phone. Download the Pebble app from App store and install it on your compatible device. Switch on the Bluetooth in your iPhone or iOS device and look for Pebble XXXX in the list (XXXX is the model number of your Pebble E-Paper Watch). Activate the paring. What is Pebble E-Paper Watch used for? Displays time. You can select an analog watch face or digital watch face. Also you can download and set different watch faces as per your mood. Get Gmail and mail from any IMAP account directly to your Pebble E-Paper Watch. Pebble app available at App store and Google Play is one of the important app required to pair your smart phone with Pebble E-Paper Watch. Several app developers are working on different apps for Pebble. Some of them are app for Running which will track distance covered, steps and your relative position on the track and display all information in real time. The Golf Range Finder App for Pebble will assist golfers to view current distance to the Green on their wrist. Besides, the manufacturer will also provide apps to control media player installed on compatible devices which are paired with Pebble E-Paper Watch.